STC requires all local facility dispatch and management personnel to review these policies with delivery drivers. They must acknowledge receipt of these policies concerning the shipping, handling and delivery procedures in regard to pharmaceutical deliveries, including the FDA regulations, prior to transporting distributions. All drivers must sign and acknowledge these standards and accept responsibility for following all rules and regulations. STC maintains these acknowledgements for our records and renews instructions on a yearly basis. ● Pin-point or window delivery: Special delivery times will apply to all pharmaceutical deliveries. If for any reason before or on the delivery date the window cannot be met or may be late, STC project managers will be informed immediately so that the consignee may have the opportunity to reschedule the appointment at their convenience. ● STC staff must book appointment: Only members of STC customer service are permitted to set appointment date and time with your consignee. We will book the appointment and then send an updated DR to STC agents. Under no circumstance are drivers to contact the consignee, other than giving consignees a courtesy call ahead 30 minutes prior to delivery. ● Restricted signature only: Requires that the consignee is the only one that can accept and sign for their shipment. If the consignee is not physically present to sign, STC drivers will take back the merchandises to our local facility and the STC project manager will be notified. To help make sure there is no confusion STC will label and stamp paperwork of all freight requiring a restricted signature clearly stating restricted signature”. ● Temperature control: Product will not be exposed to extreme heat or external cold temperatures. Product will not get wet. Delivery must be made in enclosed truck or cargo van and kept above freezing. ● Enclosed truck or cargo van: No cars, flatbeds, or open pickup trucks will be used to deliver these products. It is against company policy and federal law. Exposure to heat, sunlight, or dampness can potentially ruin these products. ● Breakdown of skid must occur at the delivery site ONLY. Never before delivery: In accordance with the rules of the FDA, these shipments must remain intact and can only be broken down when at the destination site with the consignee present. 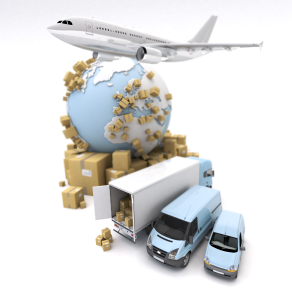 Consignee will verify piece count at the time of delivery. ● Overages, shortages & damages: All OS&D will be reported immediately to the STC project manager upon delivery. STC Logistics maintains these standards of excellence to ensure the safety and security of your pharmaceutical and medical products. Along with the Pharma-track software, our Ship-Pharma program has been successfully distributing pharmaceuticals for more than 10 years. Our less than one percent damage rate and our impressive record of on-time deliveries is directly credited to our ability to moderate excessive handling and retain control of you products.